I thought it appropriate to remember some very brave men who fought in a war long ago, when the future of the world hung in the balance. On April 18, 1942, sixteen B-25 Mitchell medium bombers took off from the 500 foot long deck of the Aircraft Carrier U.S.S. Hornet. That feat, with a plane of that size and weight, was thought to be impossible at the time. Their mission was to bomb Japan. Lt. Colonel Jimmy Doolittle planned and led the raid. It was the first offensive strike against the Japanese Empire following the Pearl Harbor attack and a series of crushing defeats for the U.S. Armed Forces. 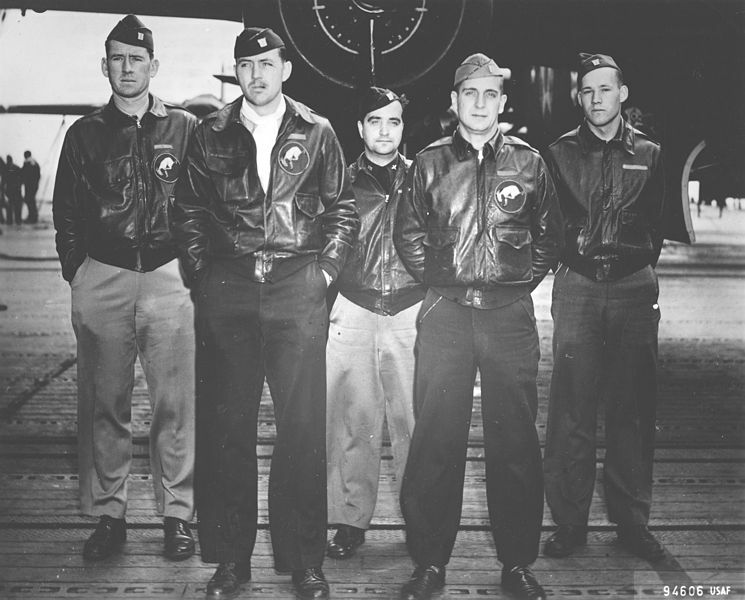 The men pictured above comprised crew number 7. Their plane was named the Ruptured Duck. The pilot, Ted Lawson, lost a leg as the result of a crash landing in China after the raid. He later wrote a book that was made into a movie, Thirty Seconds Over Tokyo. It won an Academy Award in 1944. Look into the eyes of these men. They were warriors, one and all. It was a very different nation then. John Lloyd Work has taken the detective thriller genre and woven an occasional political thread throughout his books, morphing what was once considered an arena reserved for pure fiction into believable, terrifying, futuristic, true-to-life “faction”. He traveled the uniformed patrolman’s path, answering brutal domestic violence calls, high speed chases, homicides, suicides, armed robberies, breaking up bar fights, and the accompanying sporadic unpredictable moments of terror - which eventually come to all police officers, sometimes when least expected. He gradually absorbed the hard fact that the greatest danger a cop faces comes in the form of day-to-day encounters with emotionally disturbed, highly intoxicated people. Those experiences can wear a cop down, grinding on his own emotions and psyche. Prolonged exposure to the worst of people and people at their worst can soon make him believe that the world is a sewer. That police officer’s reality is a common thread throughout Work’s crime fiction books. Following his graduation from high school, Work studied music and became a professional performer, conductor and teacher. Life made a sudden, unexpected turn when, one afternoon in 1976, his cousin, who eventually became the Chief of the Ontario, California, Police Department, talked him into riding along during a patrol shift. The musician was hooked into becoming a police officer. After working for two years as a reserve officer in Southern California and in Boulder, Colorado, he joined the Longmont, Colorado Police Department. Work served there for seven years, investigating crimes as a patrolman, detective and patrol sergeant. In 1989 he joined the Adams County, Colorado Sheriff’s Office, where he soon learned that locking a criminal up inside a jail or prison does not put him out of business. As a sheriff’s detective he investigated hundreds of crimes, including eleven contract murder conspiracies which originated “inside the walls”. While serving on the Adams County North Metro Gang Task Force and as a member of the Colorado Security Threat Intelligence Network Group (STING), Work designed a seminar on how a criminal’s mind formulates his victim selection strategy. Over a period of six years he taught that class in sheriff’s academies and colleges throughout Colorado. He saw the world of crime both inside the walls and out on the streets. His final experiences in the criminal law field were with the Colorado State Public Defender’s Office, where for nearly two years he investigated felonies from the defense side of the Courtroom. Twenty-two years of observing human nature at its worst, combined with watching some profound changes in America’s culture and political institutions, provided plenty of material for his first three books. A self-published author, he just finished writing his tenth thriller. This entry was posted in Uncategorized and tagged Doolittle Raiders. Bookmark the permalink.